Year-round fun in the sun - that’s what Dubai is all about. From sleepy pearl-fishing villages to mesmerising metropolis, this outlandish city has grown into one of the world’s top family-holiday playgrounds. If spectacular luxury resorts, pristine beaches and mega-malls don’t leave you breathless then wacky water parks, desert adventures and fascinating souks surely will. A vibrant destination like nowhere else, Dubai combines the best of a city and beach holiday with guaranteed sunshine – perfect, particularly in the autumn, winter and spring. 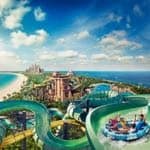 With 4×4 desert safaris, camel and horse riding, water parks and an incredible range of restaurants, there really is something for everyone in Dubai. At the Sheikh Mohammed Centre for Cultural Understanding, kids can learn about Arabic food and culture, or head up the world’s tallest man-mad structure, the Burj Khalifa Tower. We have selected a range of luxury hotel options – and we often have fantastic deals on resorts you might think are out of your price range. 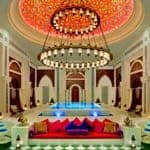 We think that the best all-rounder for all ages is the One and Only Royal Mirage The Palace. There’s an excellent play centre, complimentary KidsOnly programme for ages four to 11 years and a lovely pool with kids’ section. Centrally located on gorgeous Jumeirah beach, you’ll find the Mall of Emirates, Aquaventure Water Park and indoor ski slope close by. For older children, Atlantis, The Palm is hard to beat. Located on the prestigious Palm Island, this action-packed resort has its own giant Aquaventure Waterpark, open-air marine habitat, Lost Chambers Aquarium, Sea Lion Point and a Dolphin Bay. There are kids clubs for ages three to 12 and 13-18 years and the superb ShuiQi Spa. 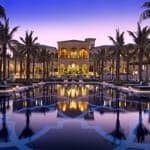 Our top pick for those hard-to-please teenagers is our top selling Jumeirah Zabeel Saray with free entry to the Wild Wadi Water Park plus over 50 activities on site from a climbing wall to a cinema, boutiques, Music Hall and the Talise Ottoman Spa. Spoil yourselves rotten at the more intimate The Ritz-Carlton- Dubai, located in the lively marina. The Ritz Kids® Club is outstanding and the service here is exceptional. Find out more about our luxury holidays in Dubai.